Baseball America - Carlos Collazo and Teddy Cahill - July 6: "Thompson came into the spring regarded as one of the top sophomore arms, but an elbow injury limited him to 31 innings. At his best, he throws his fastball in the low 90s and his big curveball is the best of his three offspeed pitches." MLB.com - Jonathan Mayo - June 8: "Thought to be one of the top sophomore arms in the nation, Thompson missed some time with an elbow issue, but did return successfully in May. 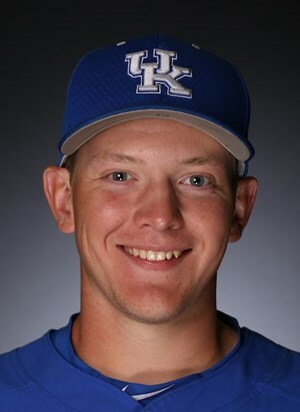 The 6-foot-2 left-hander, a 2017 freshman All-American, should be Kentucky's Friday night starter as a junior with a fastball up to 95 mph and an impressive array of secondary stuff." Zack Thompson (6-30-2018) vs Chinese Taipei (Durham, NC).